We love our ketubah artists! 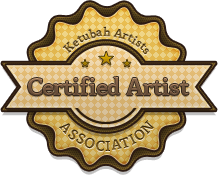 Here at Ketubah Artist’s Association we are completely committed to showcasing all different types of artists and ketubot. From paper cut to canvas, traditional to modern, we want couples to see all the ketubot options available to them, regardless of any particular style, artist or design.